Many young children go through a stage where they become extremely choosy about what they eat. 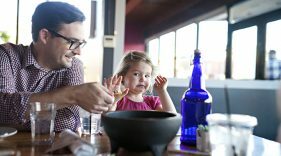 Though it’s a normal phase, parents of picky eaters are often concerned about their kids getting proper nutrition (which in turn helps their dentition). If your child refuses to eat anything green or seems to be eating nothing but mac and cheese, don’t fear — we’ve got a few good ways to broaden their mealtime horizons. 1. Don’t let kids fill up on juice or other sugary drinks throughout the day. 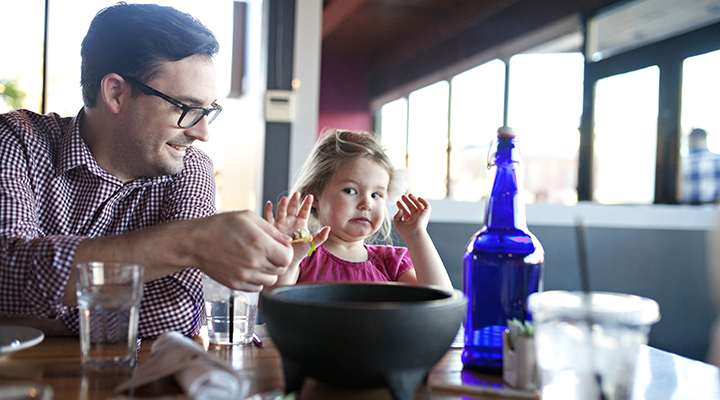 By filling up on non-nutritive liquids, they won’t have room for the balanced dinner you planned. Make sure your child drinks plenty of water throughout the day instead. 2. Make mealtime fun! Serve brightly colored foods and use cookie cutters to create awesome, kid-friendly shapes. After all, eating is more fun when your veggies are shaped like hearts, stars, and flowers. 4. Don’t offer dessert as a reward. That implies that dessert is the best part of the meal, which may just increase your picky child’s desire for sweet treats. Instead, you can redefine dessert to mean fruit or yogurt — or skip dessert altogether. With these helpful hints, your picky child should be saying “yes” (or at least, maybe) to fun, healthy options in no time. And it might make dinnertime more enjoyable for you, too! Go Pack Go and Help us Sack Plaque!